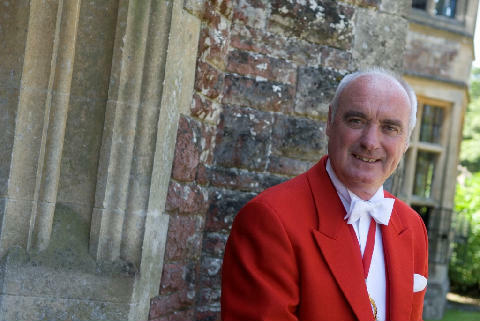 Based in Hampshire but available in all Southern counties he is well known in the area as a result of his presence at a wide ranging number of events from weddings to royal, public, business, private and charitable functions. 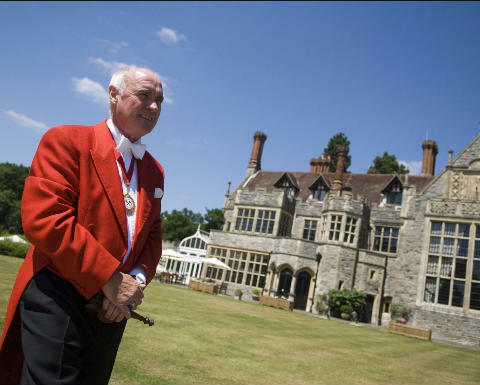 Official toastmaster to : Rhinefield House, Christchurch Harbour Hotel, Kings Hotel, Captains Club, Audleys Wood Hotel, Amberley Castle, Highfield Park, Italian Villa, Royal Windsor Racecourse. Michael Judd is a former professional sportsman, his love of sport continues with his active participation in a number of activities from his home in the New Forest, including golf, fishing and walking.After a 30 year distinguished business career requiring tact, diplomacy and management skills, he is now utilising these necessary attributes when officiating at weddings, conferences, and company presentations. As a Professional Toastmaster he ensures the efficient and harmonious direction of gatherings large and small. Here are some of the kind words that have been sent to me over the years. Now that we are home and reality resumes we just wanted to send a message of thanks. From our first point of contact with you we were totally blown away by your enthusiasm, knowledge, kindness and general personality. Being a complete control freak (Amy !) I have never felt so comfortable letting someone have the reins. I had complete faith that you would make our day run so smoothly and you did not disappoint. You were there every step of the way and completely made our day run smoothly and that was important to us. We have had so many comments on how fantastic and approachable you are, everyone has been so impressed. 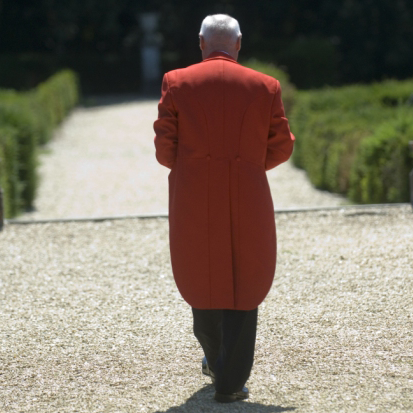 Thank you again, we will remember you fondly.. 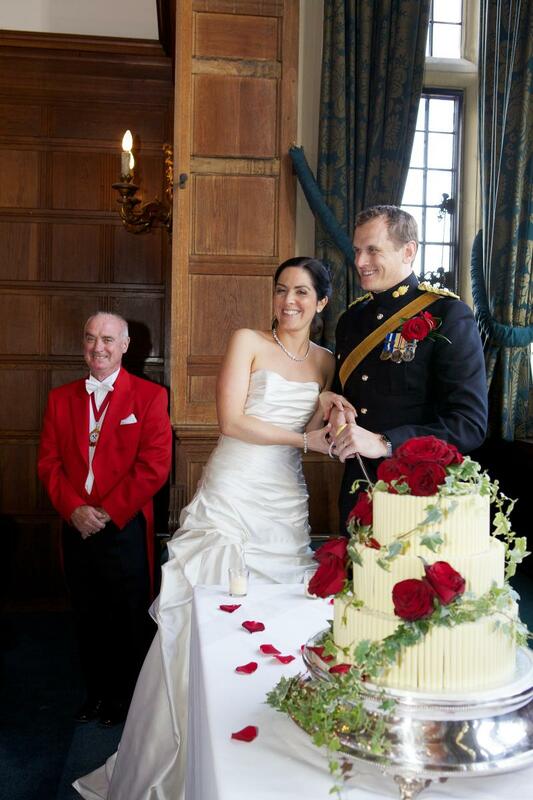 Thank you for your help, and expertise in helping our special day go so smoothly. You allowed us totally relax and truly enjoy every second. We cannot thank you enough..
My guests have all commented on how amazing you were, and how you were critical in helping us create the relaxed atmosphere we wanted for our guests, and yet you still made everything run smoothly. I honestly am grateful you were part of our day. I knew from the moment you arrived in the morning of the wedding day that I could breathe a sigh of relief and it would all be OK, and from start to finish I couldn't wished for the day to go any better. You made us feel so comfortable and safe and we genuinely loved having you there to join our celebrations. Nicola and Dean Jarrad 15th June 2018 at Audleys Wood. 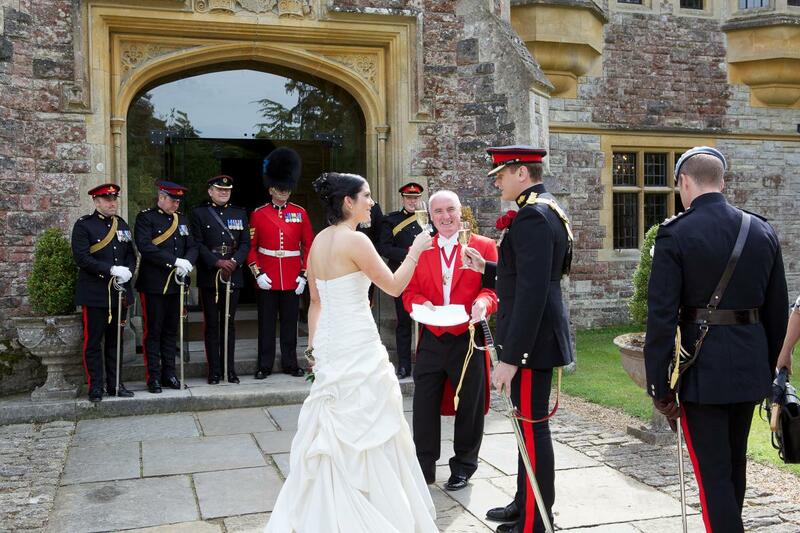 We cannot thank you enough for all the hard work you put in to making our wedding day so special. We are truly grateful and our day simply wouldn't have been the same without you. We will be singing your praises fro years to come and will always remember you as an important part of our special day. 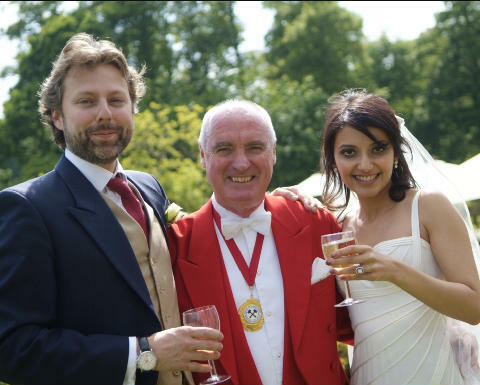 Mike was fantastic, from the pre-wedding meeting, through to ensuring our day ran smoothly, We both felt very relaxed with Mike taking the lead, there was so much to do and it all fell into place. Mike is very easy to get on with and very subtle, he was great at always being there at the right time or when you needed him. He also made my best man's life very easy. 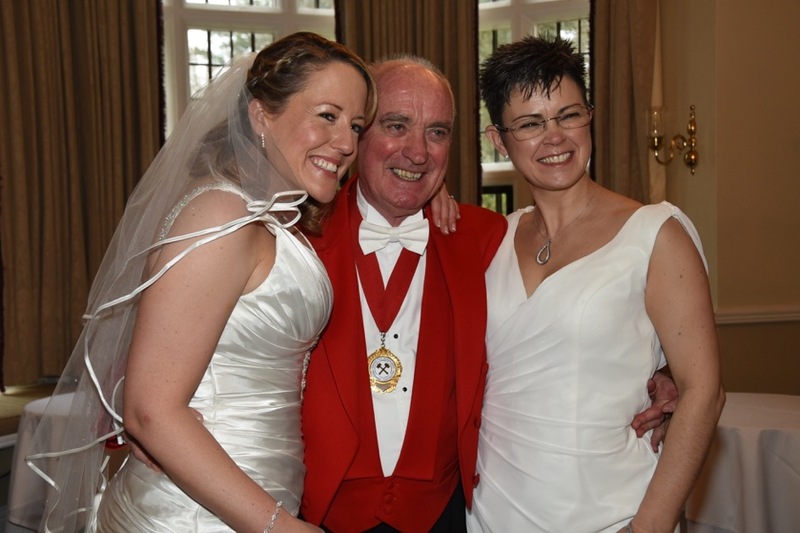 I cannot speak highly enough of him,and would recommend a professional toastmaster for any wedding, especially Mike...We had the best day...thank you. Thank you again Mike really appreciate everything you did. Thank you so much for the brilliant job as toastmaster for our wedding on the 29th December. You really were marvelous and made the day run so smoothly. Everyone said how friendly you were and my grandparents felt honored to have you help them, and making sure they were comfortable. 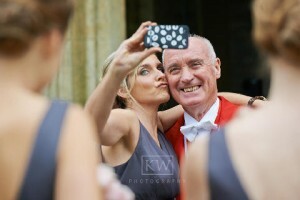 We are so pleased that you were a part of our day, and we will treasure those memories forever. Thank you again from the bottom of our hearts. 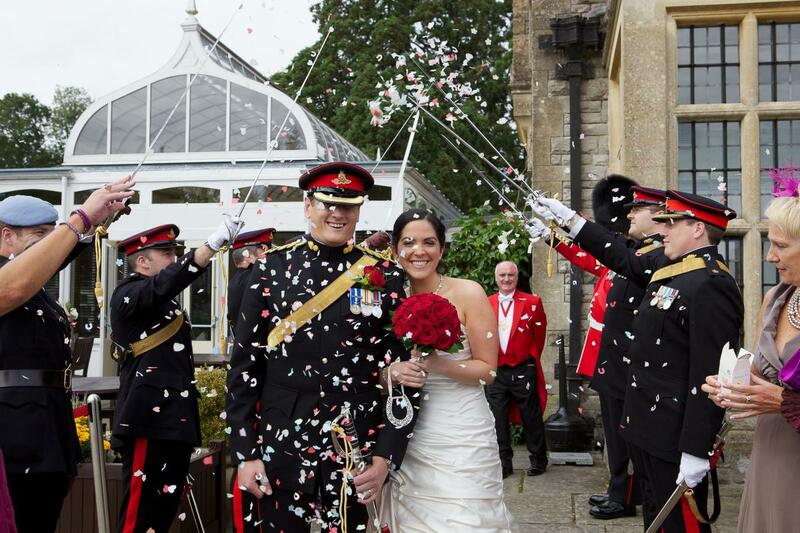 We just wanted to thank you Sooooo much for the most incredible day EVER..on Saturday. We all had the best time, and everyone was saying how perfect it was. 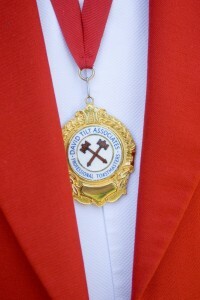 I guess it boils down to all the professionals that made the day, it was especially you. Michael you truly are something else, without you we generally believe our day would not have gone so smoothly as it did. You are an absolute master of ceremonies and we cannot thank you enough for being such an important part of our day. We want to thank you for making our day run so smoothly. Both Tom and I were so unbelievably impressed with how seamlessly you managed our day from start to finish, and how at ease you made us both feel. Taking all the stress out of what could have been a very stressful occasion. 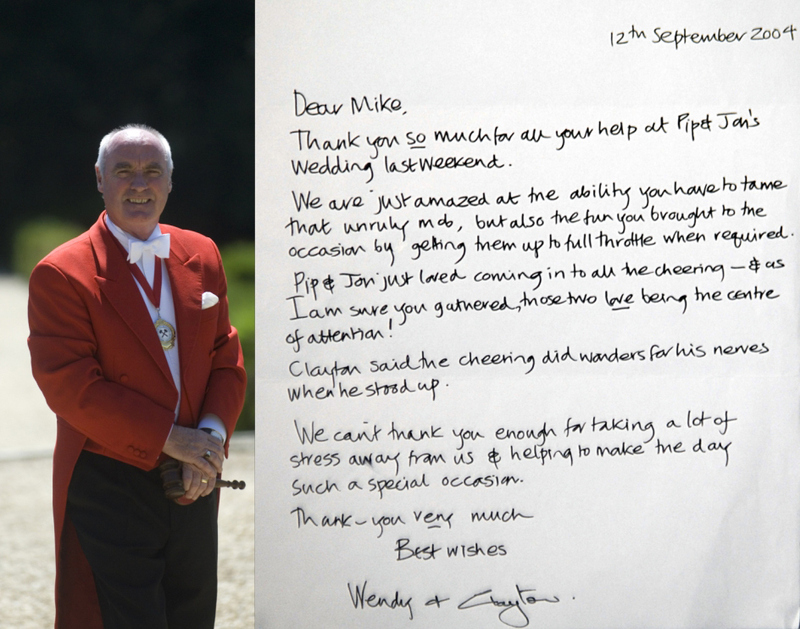 Your professionalism and attention to detail did not go unnoticed and many of our friends have asked about you in the days following the wedding. We are both very pleased you were there to help celebrate our special day. Both James and I just wanted to say a huge thank you for everything you did on the day! We cannot thank you enough..You made the whole day run smoothly, and we honestly couldn't have done it without you!... Absolutely one of the best decisions we made by booking you. Thank you so much for all your support on our wedding day. I did not really know what to expect from a toastmaster, but you were perfect. You even managed to heard my family around, which is no easy feat. Knowing you were there and in control made me feel so relaxed and comfortable, you were really a special part of our day. 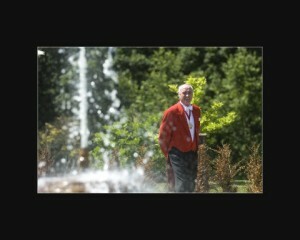 Thank you so much for being our toastmaster at our wedding on the 9th July. You really made our day flow beautifully and kept us calm and relaxed throughout the day.!! It really was a pleasure to have you there with us throughout our celebrations..
Lots of Love..Alex and Emily 9th July Rhinefield HOuse. Thank you so much for being part of our special day..You were simply amazing and couldn't wished for a better toastmaster. We had a magical day, it was perfect in every way. Thank you so much for being a part of our wedding - honestly, we don't know how we would have got through without you! Your amazing organisation skills let us relax and enjoy our day,so thank you very much. I know it was a wild crowd, but you controlled them!! Words fail me, I cannot thank you enough for everything. From the moment we met you, you made us feel relaxed and reassured. We knew the day would be a success because you would be with us, and we feel honoured that you could share our special day with us. I wish we had a pound for everytime either Paul or I said ' I am not sure- I know we'll ask Mike, he will know!!! and you always did. Thank you Mike for a fabulous, stress free day. 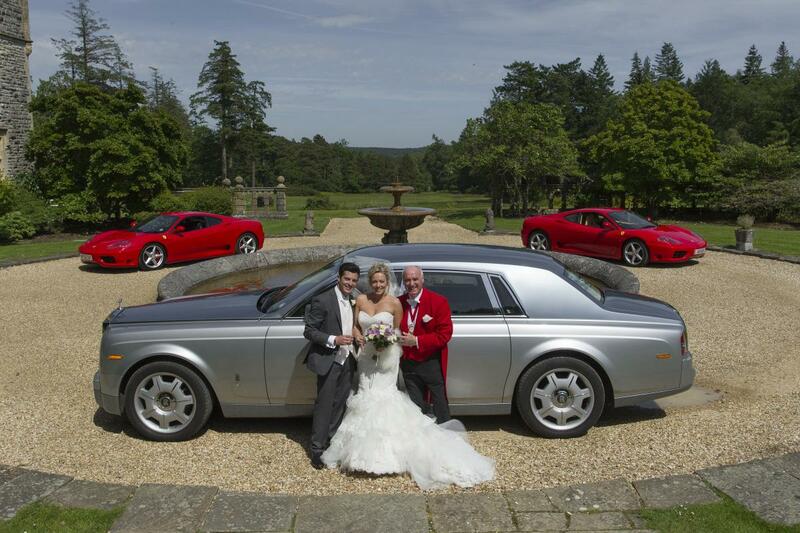 1st June 2013 Rhinefield Hotel. 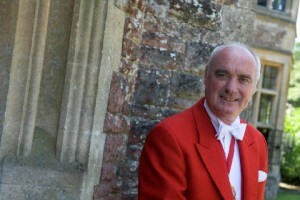 Thank you so much for being our fabulous Toastmaster at our wedding. 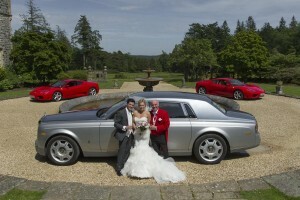 We had the most perfect day, which was helped greatly by your presence and for putting up with a demanding bride!!! I hope you enjoyed our day. Captains Club 8th September 2012. Thank you so much for all of your help and support on our wedding day. Everyone loved you and has commented on how amazing you were.You were by far our best investment. 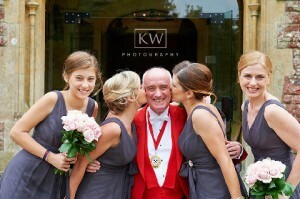 A big thank you for your efficiency throughout our wedding day. It was a tight schedule, but ran perfectly!! You had so many compliments from our guests We would highly recommend you. 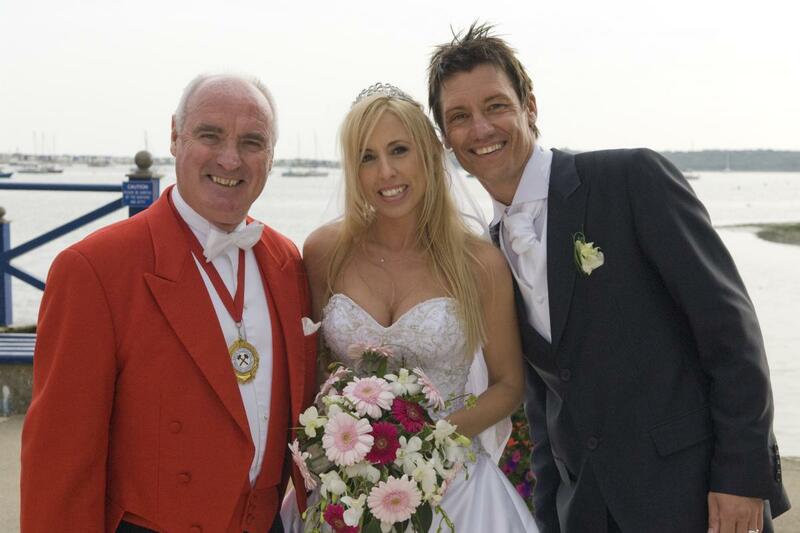 Thank you so much for the fantastic manner in which you carried out your duties as master of ceremonies for our daughters, Natalies wedding to Rob on Sunday 12th August 2012 at Christchurch Harbour Hotel. You made a big difference to the success of the day. We all had a wonderful time, Natalie and Rob had a wedding that was truly great. Many thanks Alison & Charles Leeraar. Firstly may I take this opportunity to thank you very much for your time on Saturday at our interview. 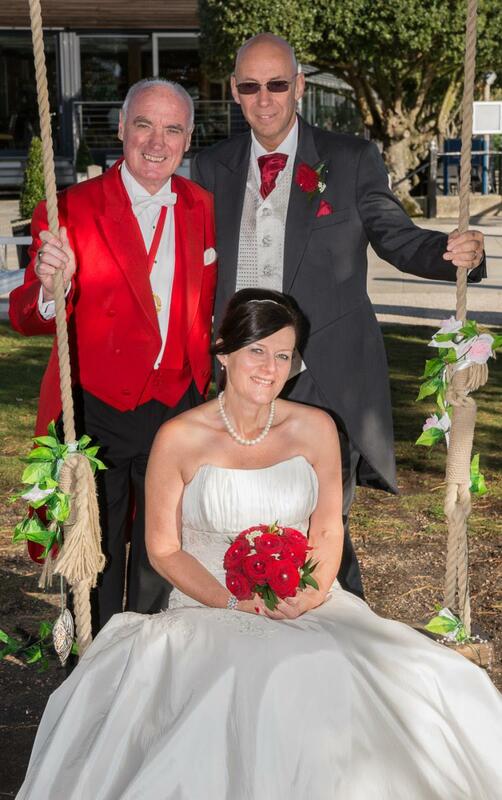 Both Al and myself really enjoyed seeing you again, and we have said numerous times that without doubt you are the best decision we have made regarding our wedding. Thank you for helping to make our wedding day so special. The whole day went without a problem, and I know that everyone had a great time. 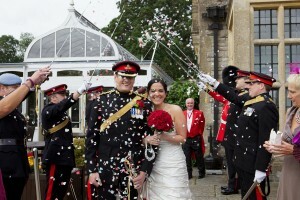 Thank you for your help and advice in organising the best day of our lives. Brought to you by Blue Orange Design | Photography By Stewart Cooper | All images are Copyright © Mike Judd and may not be copied or reproduced in any way.